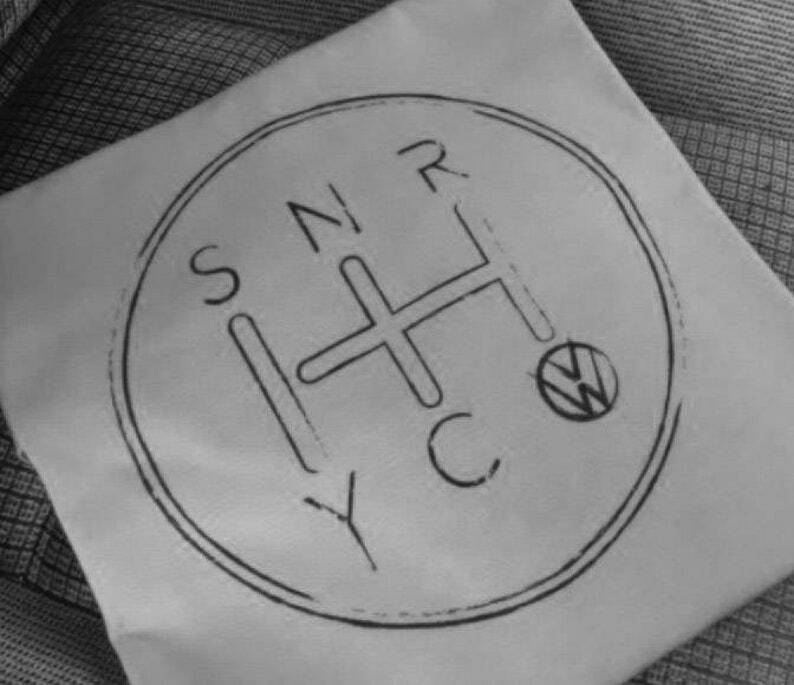 Vanagon Syncro Shift Knob T-shirt. If you've ever been in a Vanagon Syncro you know exactly what this. These shirts are printed right here in the Volkswear Garage and delivered to the nearest post office in our own Vanagon Syncro. Preshrunk cotton in sizes S-5XL. We can also offer this with a full back and small left chest print. Specify SIZE, COLOR, PRINT LOCATIONS in NOTE TO SELLER at checkout.